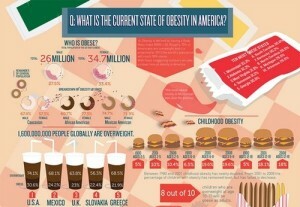 Obesity ... a topic with which America is well acquainted. We all probably know of someone who has been touched by the epidemic. For the past couple of weeks Disease and Society has been investigating the complex issue that is the American Obesity Epidemic. We've looked at the role of poverty, government, food choice, and advertising. Unfortunately there is no single factor driving the weight of the nation. If there were, it would be a much easier situation to address. Recognizing this challenge, I've asked Disease and Society to create public awareness campaigns that address the question, "Why might you not live as long as your parents?" In addition to creating a campaign focused around this question, the students must ensure that their campaign has been interacted with by no fewer than 400 people. I mean, what good is a public awareness campaign if it is never seen by the public. In a couple of weeks the students will be presenting their campaigns to me and a group of visitors for North Carolina Prevention Partners. I'm really excited to see what the students come up with. I know that they've been hard at work and I've heard some really creative ideas. Sophomore Shashamanne Lemons took a few minutes away from her work to put together this edition of the week in review (3/18-3/22). Here's what she had to say. So during this week in Mr.Kites class he allowed us to work on our projects on obesity for a whole class period,which people used it as an opportunity.We talked about how poverty can affect peoples body weight. Why? Because if they cant afford to buy all of the healthy foods then what they are going to buy are the high calorie foods because they are cheap. And yesterday we watched a video on the process of how the foods are made. 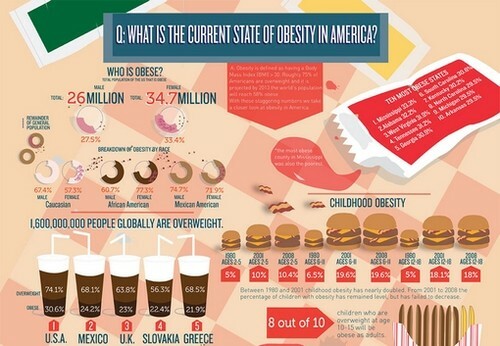 Also the number of americans who are obese and ways we can push to stop the epidemic. Today we are talking about if the government should put restrictions on how the companies target the children of the nations. So we are having a debate on who wants the government to put restrictions on the advertisements or should the leave the advertisements as they are now.